Las Tapas de Lola, Wexford Street. I’ve had a lazy couple of weeks on the blogging front. Lots of eating out, but a lack of time to write about it has led to a mounting list of half-written posts in draft, and a gnawing sense of guilt every time I pick up a fork instead of a pen or my laptop. I was finally spurred into action by Jay Rayner’s fantastic “20 Best Restaurants” piece in the Observer Food Monthly last weekend. Hovering in indecision/sloth as I was over which recent dining outings to review – should it be Oliveto in Dun Laoghaire; brunch at the Vintage Cocktail Club; or a very special meal at the Butcher’s Block table at Maze by Gordon Ramsay (it’s in London, so not strictly in Girl Eats Dublin’s remit, but I knew you’d forgive me), reading Jay’s brilliant feature helped me decide and just get it done already. While I can only aspire to someday pen such a gem as “A well written menu should be a come on, a shameless flash of thigh,” I did take inspiration from Mr. Rayner’s “simple test” for inclusion in his Top 20, which was “did writing about the restaurant make me hungry?” So when I thought about the places I’ve tried over the past couple of weeks, there was one set of notes I’d been jotting that were making me consistently peckish and already impatient to return, and those were from my visit last Thursday to new Wexford Street tapas joint, Las Tapas de Lola. 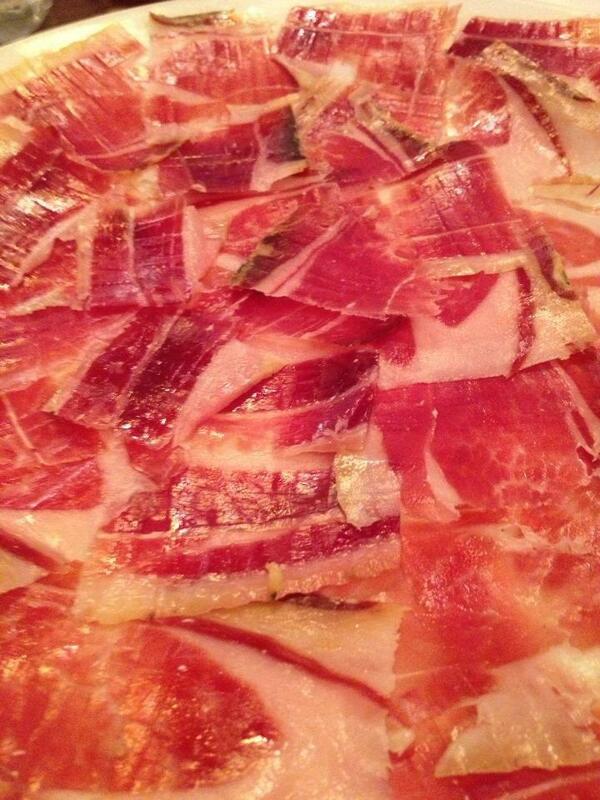 Jamon, jamon! 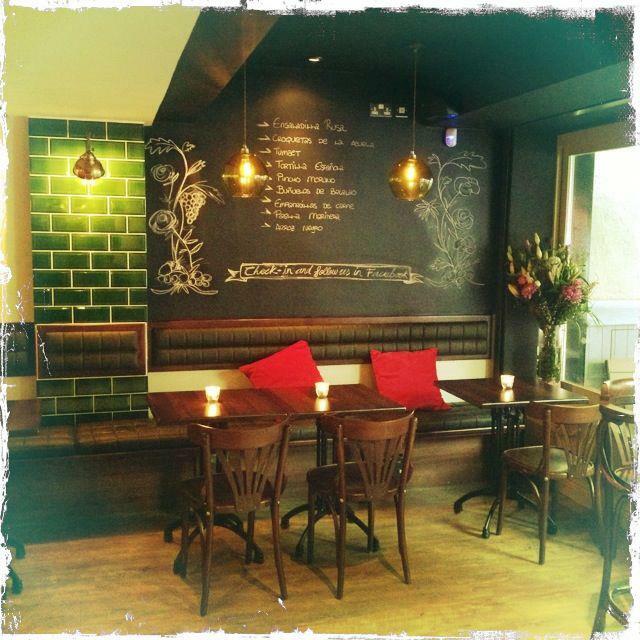 Image courtesy of Las Tapas de Lola. When we ate here last Thursday evening, I didn’t realise it was only their second night open, so it’s probably the newest place I’ve reviewed so far. Usually I think it’s the decent thing to hold off reviewing new restaurants until they’ve had a chance to find their feet food and service-wise. But our experience at Las Tapas de Lola was so good that I reckon they can take it, and I also reckon you need to hear about it. Having passed by earlier that week and noticed a new restaurant on the site of what had previously been “Morrissey and Daughters” butchers (opposite Solas and right next to Against the Grain, if you know your Wexford St. pubs), the lovely tiled Spanish signage, outdoor seating and the prospect of somewhere new offering (hopefully) decent tapas in Dublin had appealed to me instantly. I’d also seen the above mouth-watering photo of ‘Jamon’ being shared by a friend on Facebook… so Spanish ham was on my mind. Thankfully, my partner in crime for the evening was also willing to try some tapas, so we stuck our heads into Las Tapas de Lola in the hope of snagging a table. As the roomy, dark green-tiled interior was already full (a good sign! ), we took advantage of the first remotely balmy evening this chilly April had seen and sat on the “terrace”, a reclaimed square of Wexford Street footpath which has been attractively fenced off, heated and filled with greenery, cushioned benches and wooden tables. We didn’t get too ambitious with our choice of tapas – I was curious to see if Las Tapas de Lola could deliver on the basics before trying anything more adventurous, so we chose Albondigas (meatballs), Calamares a la Andaluza (fried squid rings with aioli), Lentejas (Lentils, chorizo, Spanish black pudding and bacon), some bread and olives. The small basket of bread that arrived was enough to tempt a seasoned bread-avoider like myself into “just a taste.” OK, OK, we had two baskets of the stuff. It was fresh, crusty and delicious, perfect for mopping up the remnants of the little taster dish of “Lentejas” we received, compliments of the house. Images credit: Las Tapas de Lola on Facebook. This perfectly whetted our appetite for the tapas, which arrived quickly and with a minimum of fuss, on suitably small plates (Pet Peeve: giant “Irish Tapas” portions, Market Bar take note) served by the friendly Irish and Spanish staff. My favourite dish was the calamari, thinly sliced squid rings with just the right level of crisp coating and accompanied by an innocent-looking, but garlic-laden, portion of fresh aioli. The meatballs were proper Spanish pork meatballs – totally tasty and a far cry from the mini-beef burgers that regularly pose as “albondigas” on many Irish tapas menus. The tomato sauce that they were cooked in safely saw off the last of our bread basket. Two glasses of a really lovely Spanish white – a Sauvignon/Viura blend (Castilla Leon, Lanzos 2012) could have easily turned into two more, had we not had a gig we were already running late for over the road in Whelan’s. The drinks menu also includes a selection of aperitivos (Sangria, anyone? ), and a full range of Spanish beers, spirits, after-dinner drinks and coffees. The bill for this pleasant hour or so’s dining came to a very reasonable €34. It feels like there’s a good team behind Las Tapas de Lola. They’re set up for something great here and I’ve got a feeling it’s going to become a popular spot in this end of town. I’m looking forward to coming back to try some more of their tapas and drinks selection. Now here’s hoping we get the weather for Tinto de Veranos and Cafe Cortados on the terrace this summer! Las Tapas de Lola, Wexford Street, Dublin 2. Check out their Facebook page for lovely photos and updates.